Dillon, my first attempts at milling were with the standard chain that came on my Husqvarna, which I think was a semi-chisel type chain. Cross cutting is a lot different then ripping along the grain. Milling you get very different sawdust and cutting speed. It also is very dependent on the type of wood you are trying to cut. I now use ripping chain exclusively for milling from http://www.cutterschoice.com/ and get much better results in terms of smoother finish on the boards. I don’t think the ripping chain speeds up the cutting much at all. It takes considerably more force on the saw to cut with the grain. I’m not sure why but the saw does not tend to dig in and pull itself through the wood when milling as it does in crosscutting. Be sure to check and file for proper tooth depth on your blade when sharpening. Depth guage on milling is more important. I try to mill with a constant force and not bog the saw down or stall the blade. My poor little saw has seen much more abuse then it was made for after I built the Alaskan mill. 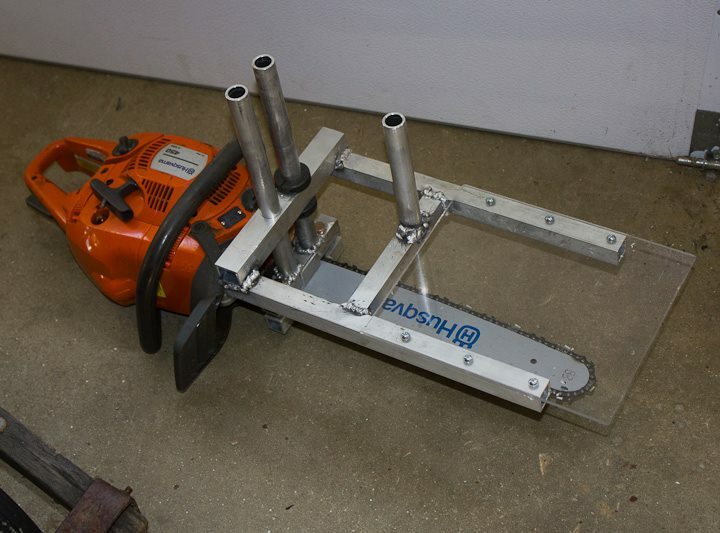 I’m looking for an affordable used 100cc range saw for milling. 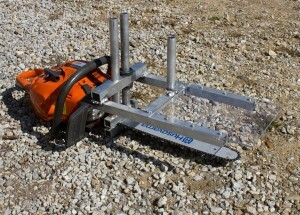 Arboristsite.com has a great section on sawmilling with a chainsaw. I hope some of this helps you out. 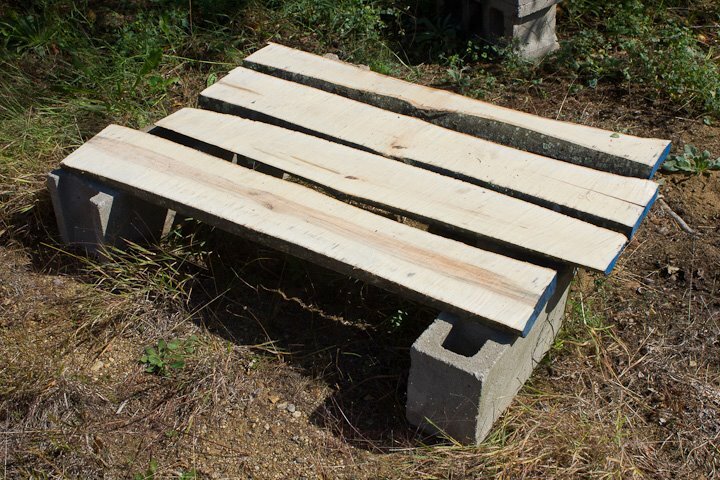 Hey Zac, Really excited about this post I found on your alaskan sawmill, i had a couple of questions if you don’t mind. I’m building one myself, my dad has a steel shop so parts, welders, and tools are all readily available to me. I wanted to ask you 2 questions: 1. how did you attach the mill to the saw bar? and 2. what size cc is your saw? Adrian, My saw is a little 50cc Husqvarna. It runs great but isn’t up to big milling tasks. 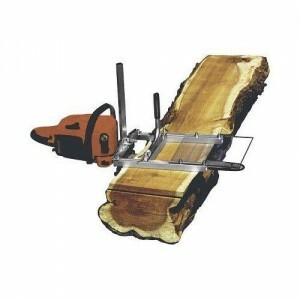 I hope to get a 95 or 120cc saw for my next sawmill. I built a clamp type mechanism that attaches to the bar but leaves the blades free. I’ve decided that if I did it again I would drill a couple holes in my bar with a carbide drill bit and bolt directly to it. Either way will work. If you build one like mine that only attaches on the saw side of the bar, be careful you keep everything level. It’s easy to make unsquare lumber. Not the end of the world when you run it through the planer but it makes stacking and stickering the green lumber to dry difficult. Let me know if you have any other specific questions and thanks for visiting my blog. I’m not sure what you are refering to quoting a price on. 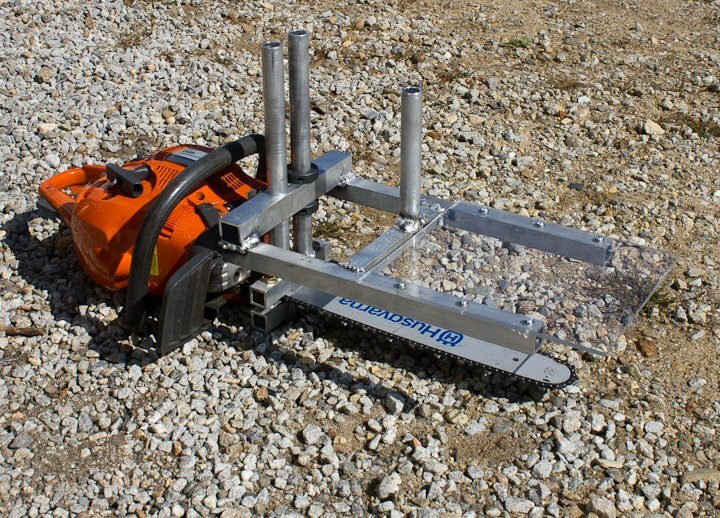 I am not selling chainsaw mills nor milling services. I am in the same boat as many of the people that have written in asking questions about how to connect the bar to the saw and if you perhaps have photos or drawing of the mini mill?